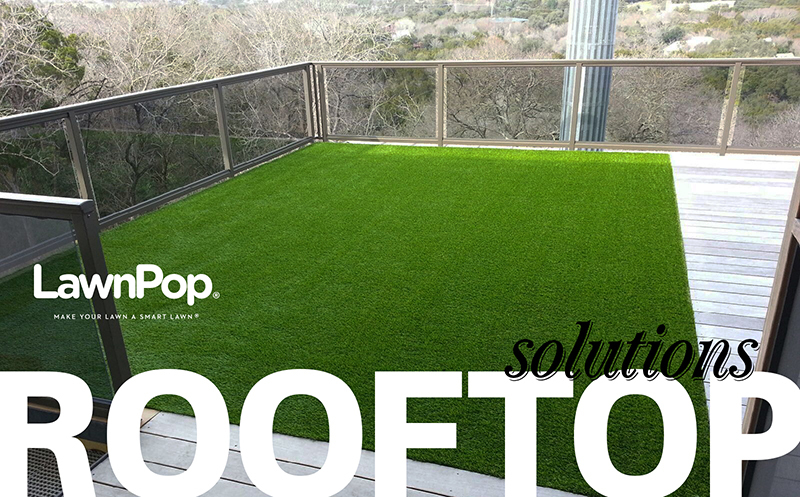 A LawnPop rooftop design solution using artificial grass. 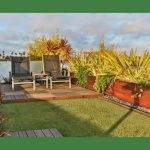 Green Rooftops, Terraces and Balconies: LawnPop artificial turf turns unused space into desirable outdoor living space. It looks fantastic throughout every season. Artificial grass provides a cost effective replacement to traditional decking that is soft and creates a more usable and functional living space for you and your family. A rooftop synthetic turf putting green can provide a ton of entertainment. If you’re interested in learning more about installing a synthetic grass on your roof, deck or patio, call LawnPop® of Austin Texas today at 512-298-0933. 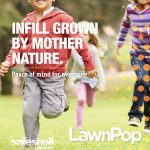 LawnPop is the Central Texas exclusive authorized SynLawn supplier.